Two weeks ago Researchers at the Laboratory of Cryptography and System Security (CrySyS) in Hungary confirmed the existence of the zero-day vulnerability in the Windows kernel, according to security researchers tracking the Stuxnet-like cyber-surveillance Trojan. 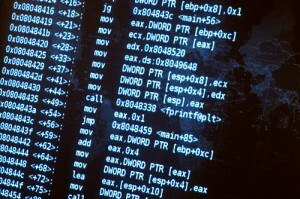 The Laboratory of Cryptography and System Security (CrySyS) has released an open-source toolkit that can find traces of Duqu infections on computer networks.The open-source toolkit, from the Laboratory of Cryptography and System Security (CrySyS), contains signature- and heuristics-based methods that can find traces of Duqu infections where components of the malware are already removed from the system. They make a release that "The toolkit contains signature and heuristics based methods and it is able to find traces of infections where components of the malware are already removed from the system.The intention behind the tools is to find different types of anomalies (e.g., suspicious files) and known indicators of the presence of Duqu on the analyzed computer. As other anomaly detection tools, it is possible that it generates false positives. Therefore, professional personnel is needed to elaborate the resulting log files of the tool and decide about further steps." This toolkit contains very simple, easy-to-analyze program source code, thus it may also be used in special environments, e.g. in critical infrastructures, after inspection of the source code (to check that there is no backdoor or malicious code inside) and recompiling.